The LuxCraft Serving Bar has shelving for storage and ample counter top space for serving. With seating room for four people, this bar is perfect for entertaining a few friends. 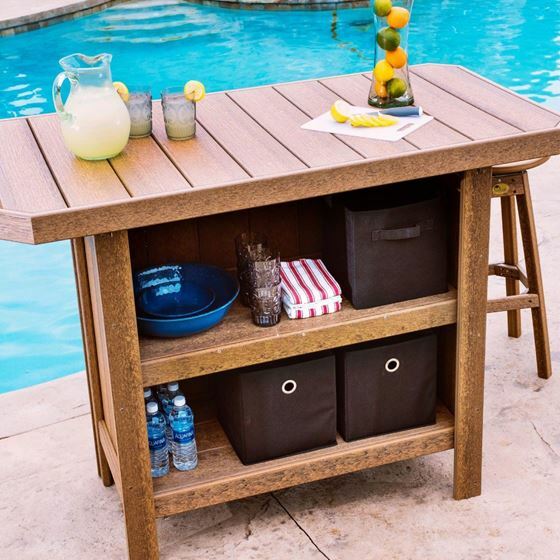 Alternatively, set a few serving bars side-by-side to complete your outdoor bar area. It looks great poolside, or anywhere you want folks to grab some refreshments.